The death of Mr. Wilfred Alfred Engele, 81 years, of Humboldt occurred on Monday, January 14, 2019 at Humboldt District Hospital, with family at his side. Willie was born on August 23, 1937 to Julius and Mary (nee Huber) Engele in Humboldt. He grew up on the farm near Carmel and attended Highgate and then Carmel Schools. Following his education, he worked, together with his brothers on the family farm. On December 29, 1959, Wilfred married Dianne Schlachter. Willie ventured out one winter to work on the Diefenbaker Dam but other than that, he spent his life farming. They ran a mixed farming operation, involving cattle, hogs and some chickens over the years. In 1966, Willie and Dianne moved to their own farm near Dixon where they farmed until retirement in 2008. At that time, they moved in to Humboldt and enjoyed getting to know their new neighbours. Willie still kept an eye on things at the farm which their son Aaron was now running. He enjoyed watching many sports on TV including wrestling, Roughrider football, baseball, hockey and curling. He also like bowling, playing cards and going to the Casinos. Whenever he went fishing, a friendly competition was in order – first fish, most fish and largest fish. Willie was a socializer and enjoyed any activities where he got a chance to visit with others. Over the years, he enjoyed going to farm meetings where he would learn new things and also liked to keep an eye on the stock market. Willie and Dianne traveled to the United States, Mexico, Jamaica, Australia, Thailand and lastly Cuba. They were also fortunate to be able to spend several winters in Arizona and Osoyoos, BC. His love for his family – children, grandchildren and great grandchildren - was beyond measure. He enjoyed teaching his grandchildren new things, especially how to drive on the farm and always had jujubes on hand to share with them. His friendly personality will be missed by all who had the pleasure of knowing him. Willie will be lovingly remembered by his wife of 59 years, DIANNE Engele (nee Schlachter) of Humboldt; their four children, seven grandchildren and nine great grandchildren: Aaron (Patricia) Engele of Humboldt and family Amanda (Riley) Brockman and children Kyra, Aiden and Kolten of Middle Lake, Janelle (Kyle) Stumborg and children Kashton, Aaliyah, and Daxzen of Humboldt, Taylor Engele (friend, Angele) of Humboldt and Craig (Karen) Watters of Saskatoon; Sheila Engele of Regina; Kevin (Kim) Engele and son Austin Engele, all of Maple Ridge, BC and Wesley Engele of Cornwall, ON and family Ariel Engele and children Madison and Carter of Regina and Desiree Engele and daughter Emerald of Saskatoon; sister Marie Kramer of Calgary and numerous niece and nephews. Wilfred was predeceased by his parents Julius and Mary Engele; siblings: Frances (Hans) Apoloney; Ann Turnbull; Johanna (Tony) Niebrugge, Leo (Helen) Engele, Theodore (Elsa) Engele, Adolph (Anne) Engele, Alvin Engele, Louis Engele and Robert Engele; and brother-in-law John Kramer. The Funeral Mass for Wilfred was held on Friday, January 18, 2019 at 10:00 a.m. at St. Augustine Roman Catholic Church, Humboldt, celebrated by Fr. Joseph Salihu. His remains were laid to rest in the Columbarium at St. Augustine Parish Cemetery. 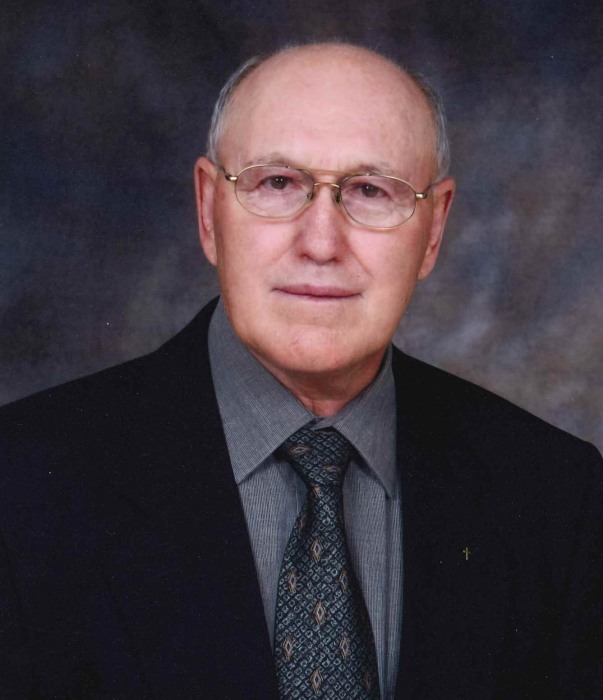 Memorial Donations in Wilfred’s memory may be made to the Humboldt District Hospital Foundation, General Equipment Fund or the St. Mary’s Villa Foundation.